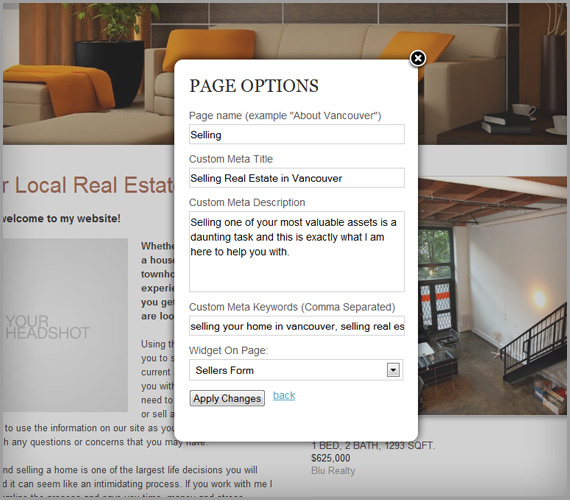 Say hello to your very own blog, now available to all RealtyNinja customers. Never blogged before? here’s a great article to get you started. Got a minute? Watch a video demonstration of the new blog in action. 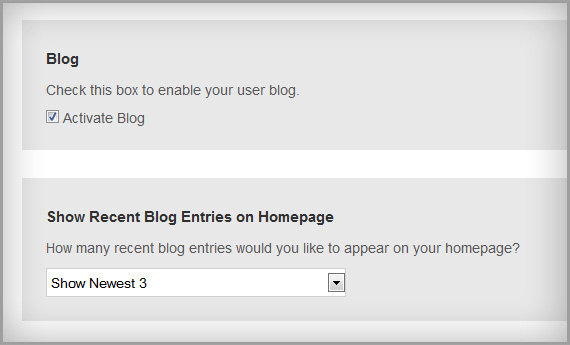 In your main “settings” page just scroll down and check this box to enable your blog. You will then notice a new navigation item on your website called “Blog”. To start blogging, go to “Edit My Website” click “Blog” and you’ll notice a new blue button in your toolbar called “New Blog Entry”. Click that button and type in your content as you would normally on any page. Once you’re done you can select a category and hit “Save”. It will ask you if you want to publish your blog post… go ahead and publish it if it’s ready for the world. If it’s not ready yet, you can just save it and publish it later when you’ve had a chance to work on it some more. 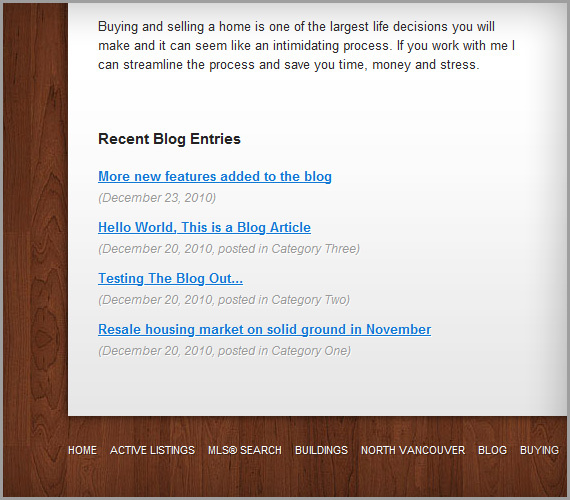 Blogging in RealtyNinja is super easy, it uses the exact same front-end visual editor that your other pages use. Type right on the page, insert images, videos, whatever you want. You can also display your most recent blog entries on your homepage. To do this login to your website, click “Settings” then scroll down and and choose how many items you would like to appear on your homepage. Now you can specify your website’s “Search Engine META” information. This helps Google and other search engines understand what your website is all about so it can show relevant results to people searching online. Your RealtyNinja website is fully equipped with modern search engine optimization techniques and standards, but at the end of the day it all comes down to solid well-written content on your website. Here’s a really well written beginners guide to SEO (Search Engine Optimization) that should get you up to speed on how search engines work and what you should be doing with your website to get ranked well. Now you can go even further and set custom Meta Title, Description and Keywords on specific pages. This is all done in your “page options” (click “manage pages”, then click the blue “page options” button). Listings added to your website, blog posts and pages all take advantage of properly formatted (search engine readable) URL’s now. This helps search engines know what the page is about just by reading specific words in the URL structure. For example a properly formatted blog article should have a URL like this “/blog/13/Resale-housing-market-on-solid-ground-in-November” not this “/blog/13/”. Working on some content but its not quite ready for public viewing yet? No problem, just click the little lightbulb icon in “Manage Pages” next to the page you want to hide. This will remove the navigation link to the page, but the page is still accessible if somebody knows the URL. Another great use for this would be if you wanted to send someone to a specific page on your website (like a prospective home buyer) but you didn’t want that page accessible by everyone who comes to your site… you could just hide the page and email them the URL (web address) directly. More upgrades to your blog are around the corner… things like social media sharing on blog posts, archiving by date and commenting. Stay tuned and we’ll let you know when these new upgrades are released.